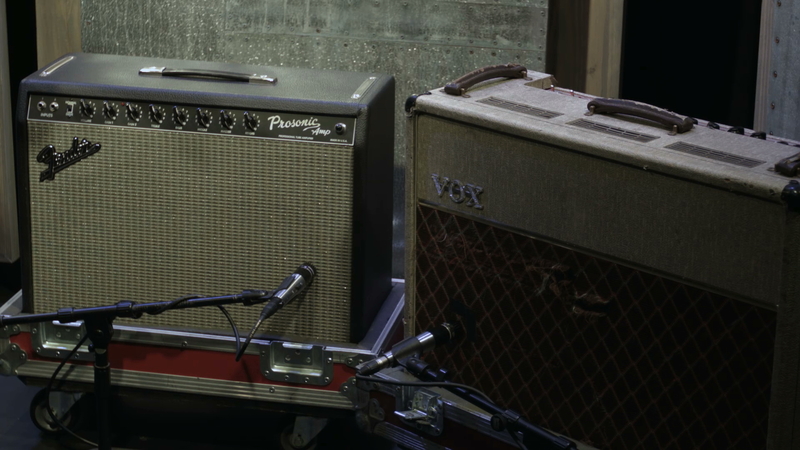 In this lesson, Mike Pope discusses which amps to choose to get different tones. He also talks through different wattages and how that can affect the amp decision. If you’re going to by a Vox, try to get an older one as they are better made. Be careful with what you’re buynig, make sure it sounds good and you connect with it. The dust cap gives you a very bright sound, and the edge gives you a dark but thin sound, the middle balances out nicely. Use in-ears and record the mic placed in different positions to see where you like it. These amps are tube amplifies. Many modern ones now use computer chips, which are trying to emulate the sound of a tube. Most guitar players favor tube amps because they are warmer, they feel better to play, they compress when you crank them up etc. You need to know what kind of tubes to put in it. Take it to a tech if you don’t know. Get to know tubes so if something goes wrong during worship you can fix it. The fender amp uses 6L6 (or a 66) tubes – that’s what produces the sound. This tube has less mids, very pronounced lows and crispy highs. AC30’s use tubes like EL34’s or EL84’s depending on the wattage of the amp. They sound brighter, smoother and have more mid-range on them. Be conscious of your surrounding – it may not be appropriate to have them blaring on stage. Mike gives some solutions. A lot of times when you get the volume you want, your sound becomes overdriven. Having cleaner amps is more useful for pedals, and quite a few other things. Attenuaters – a load box that goes between the amp and the speaker that quietens the loader amps. The AC30 and the fender are classic sounding amps. There are many other tones and sounds you can get from other amps.